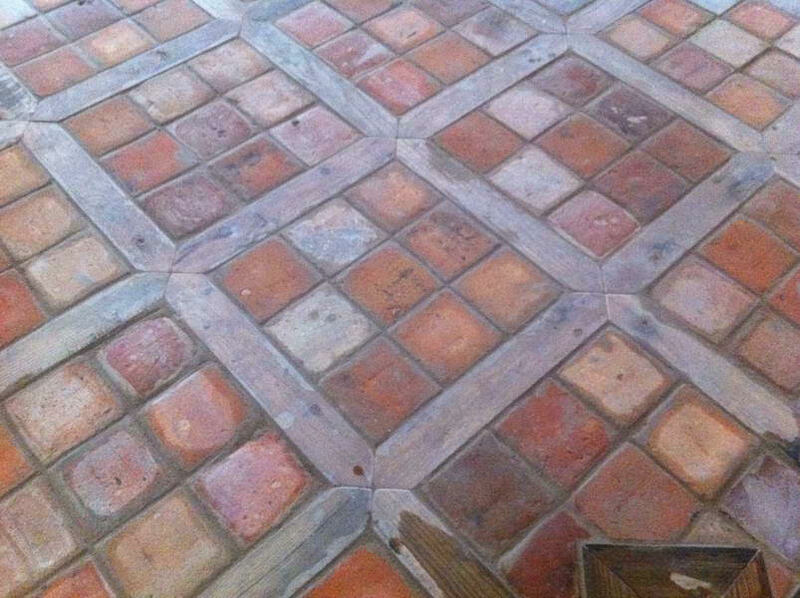 When we say that these tiles are 4x4", that is an approximation -- they are not perfectly square, and that is their charm. This style was inspired by my university memories of streets in Oxford, England, particularly around the Radcliffe Camera. 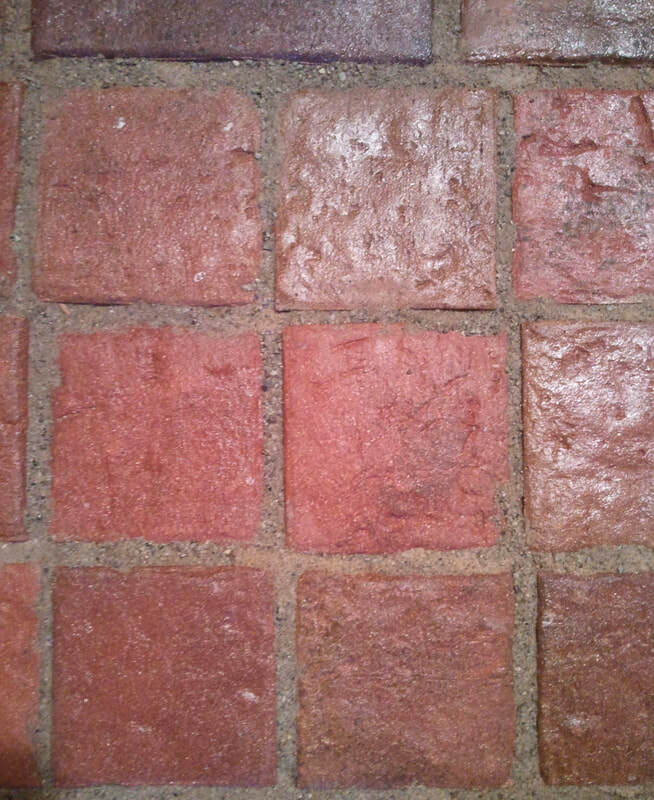 Our Cobble tile is very rustic, with a worn and weathered surface. A cobblestone floor is a very traditional, Old World look. There are many uses for this tile, both as a field tile on the floor, and also for room borders. 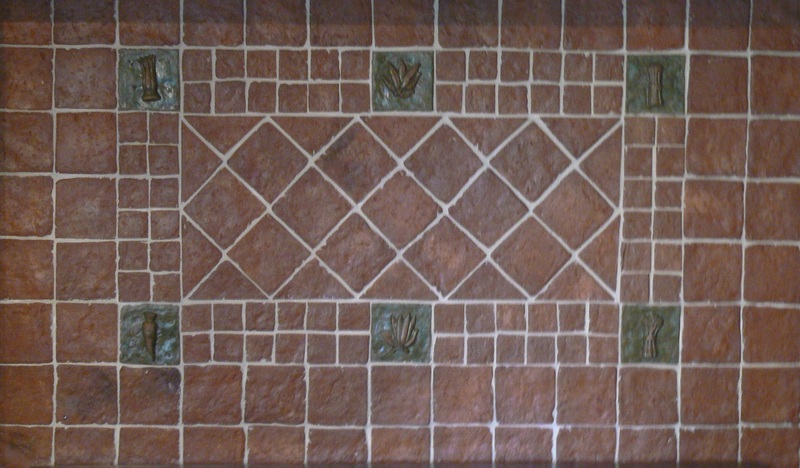 They also have been paired with our relief tiles for back splashes. We have also made smaller and larger versions of Cobble brick paver tiles for customers in the past. Contact us to discuss all your options. Loose cobble tiles in a variety of finishes. Cobbles in Inglenook owner's home, with polymeric sand instead of grout, locked in with a shiny sealer. This picture shows a work in progress with cobble tiles between a wood lattice.